The name Amanda Knox triggers an array of emotions and opinions when mentioned around Seattle. American studying abroad turned alleged murderer turned innocent victim are just a few milestones that have decorated Knox’s last four years. But the story does not end there. Amanda Knox is the American student who was convicted of killing her roommate, Meredith Kercher, while studying abroad in Perugia, Italy in 2007. On March 26, 2013, the Italian Supreme Court overturned Knox’s acquittal and her case was reopened once more. 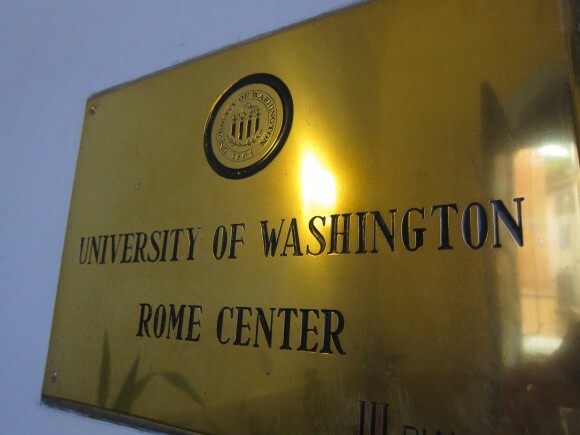 Although reports suggest Knox will not have to return to Italian prison even if she is convicted in the upcoming trial, the new investigation brings up the past controversy for both Knox and more broadly those associated with the University of Washington, particularly students interested in traveling abroad to Italy. It was just announced that Knox’s memoir “Waiting to be Heard” will be released on April 30, once again bringing her situation to the public forefront. Study abroad is a valuable experience taken by thousands of American students every year. But without proper preparation one might wonder if these students are ready to navigate potentially dangerous situations that could lead to lasting consequences. Lisa Coutu, Director of the Communication Rome Program at University of Washington, is aware but not obsessed with the recent trial. “From the outside looking in there are some cautionary notes we can learn from [Amanda Knox’s] situation,” she said. “I feel the main issue is how to make sure students are safe… We need to focus on the girl who was killed and how to avoid that fate,” Coutu commented. I was one of those students. 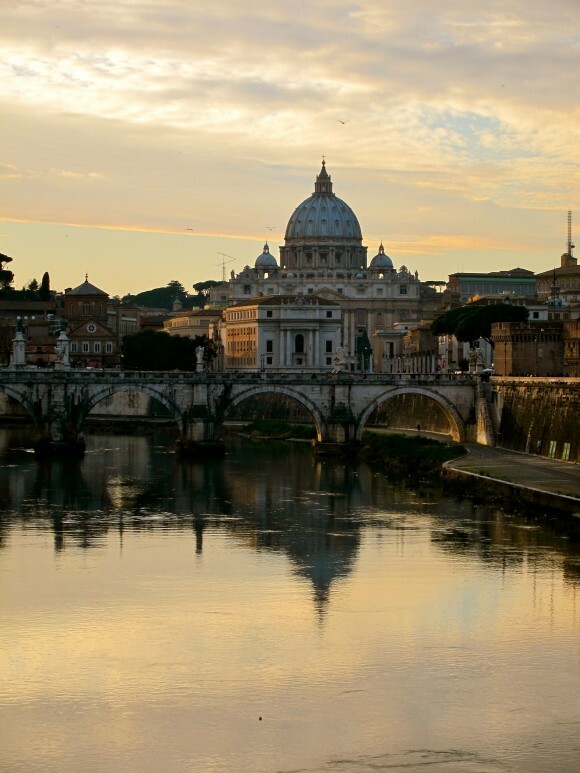 I traveled to Rome through Coutu’s communication program in 2012 with 22 other students. Before leaving, I was asked several times if I was nervous to be going to Italy in light of Knox’s trial. As the question persisted I grew more and more wary of the possibility of discrimination and prejudice from locals. Coutu initiated several conversations prior to our departure, setting boundaries and bringing light to the reality of the situation. “How you present yourself as an American is the issue. Students perpetuate stereotypes so they need to be aware if they are adding a positive or negative influence,” Coutu said. I was very worried about how Italians would perceive me. Would they think of me as another “Amanda Knox” simply because we shared the same school and hometown? Would I feel safe interacting with locals? There was a brief sense of pre-travel anxiety due to the deep preparation I received. But due to the concrete structures Coutu put into place I felt protected and confident. However, everyone in my group did not share this sentiment. Bekah Hudson, a University of Washington Tacoma student, was a nervous traveler to begin with. Warned by family and friends of the potential judgment she might receive due to the Knox case, Hudson was prepared for the worst. Upon arriving, she found herself nervous to interact with locals. After spending a few weeks in Rome, Hudson began practicing the exercises of self-awareness and mindful interactions Coutu preached and gained some confidence but never to the level she desired. “I would have loved to put the [Amanda Knox] trial out of my mind, but could never fully believe the locals weren’t judging me for it everywhere I went,” Hudson said. 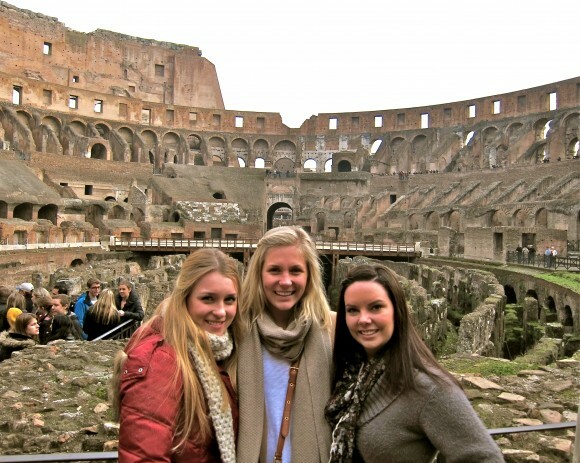 Lauren Becherer, a senior at University of Washington, just returned from studying abroad in Rome through the Department of Communication. Becherer reported always feeling safe in Italy despite warnings of the potentially hostile atmosphere for Americans, citing many of Coutu’s preparatory structures as reasons for her comfort. “It is important to always be aware of your surroundings, have a hand on your belongings, and always travel with another person,” Becherer said. Coutu is a firm believer in setting boundaries when admitting students to the program. “I try to get groups of students who can [best] represent the University. We had the opportunity to give UW a good name. Our actions reflect on ourselves and future UW study abroad students… So I was careful who I admitted and looked for people who followed rules.” Despite ample preparation and thorough planning, Coutu is realistic that ultimately it is the students who are making the decisions. “You never really know. It wasn’t perfect, but it was all about safety,” she said. 1) Familiarize yourself with local laws. You are not subject to the American judicial system in foreign countries so it is important to educate yourself on local rules and procedures of where you are traveling. 2) Never travel alone. Whether you are walking across the street or flying to another country, that rule you learned in elementary school of “traveling in pairs” rings as true as ever. 3) Avoid high crime areas, especially at night. You don’t have to stick to the tourist traps, but venturing to the rough areas of town should be avoided. 4) Dress modestly and conservatively. Flashy clothing and accessories might bring unwanted attention by locals, leading to an uncomfortable and possibly dangerous situation. 5) Be careful of who you trust. If you decide to go to dinner with a local, consider making it a double date or to somewhere public. If something doesn’t feel right, listen to your intuition and remove yourself from the situation immediately. Gosh it was hard enough for me to be an American abroad when things like that happened. I can’t imagine being from the same school! Kudos to you! Your five safety tips are great and succint. I’d also suggest learning a few key phrases in the language. Please and thank you are great! But, “If you don’t stop following me I am calling the police” works well when you’re walking to a cab. Carissa, thanks so much for your feedback! I will be sure to check out your tips before my next trip! While all your advice is sound I would especially suggest that special attention be paid to #5. There is a tendency to get carried away when far from home and this applies both to studying and vacations. People just act differently and take risks that they would not take at home. There are a lot of guys who are looking to take advantage of the nieve and young so don’t let excitement lead to a decrease in caution. With respect to Knox the easiest way to avoid ending up like her is to simply not murder anyone. The idea that what is happening to Amanda can happen to anyone is a mistake. Yes you might meet a creepy guy but most of us would know it was time to lose his number way before things got to where they got with Knox.